It’s a boy! 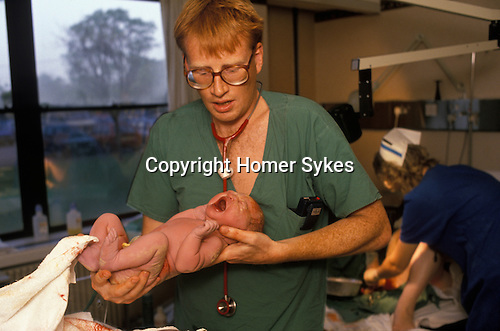 Doctor Phil Hammond delivers a brand new family member at Bath General Hospital. He is about to weighed before being returned to his mother. Doctors in the 1980’s worked very long weeks, 80 to 90 hours beingt the norm. Dr Hammond had been on duty for over 36 hours without a rest bite. The Doctor is now better known as a broadcaster, comedian and commentator on health issues. He is best known for his humorous commentary on the National Health Service.